Since the earliest days of the Jesus Movement, Christianity has proclaimed Jesus of Nazareth as the long-awaited Messiah of the Jewish people. What exactly did this proclamation mean to those who heard it in the context of the Roman Empire and Second Jewish Temple in Jerusalem? Much recent scholarship has attempted to assess the theological and political expectations of the Jewish idea of Messiah in the immediate context of Jesus of Nazareth and his follower’s claims to his place as the “Anointed One” of Israel. This paper will examine the general contours of scholarship surrounding the general view of the Second Temple Jewish people concerning the coming Messiah. In examining this issue, one will see that throughout the diversity of Jewish expectations and contexts, there emerged expectations of a messianic figure from God who would restore Israel in some fashion. Before considering the context of late Second Temple Judaism, one must first note the limits of the research at hand. To examine the context of Judaism at this time with any truly accurate degree of scholarship would require a length of space much greater than what has been allotted here. Therefore one must note that the positions and arguments presented below are but a sample size of the works available. Thus the scope of this paper is rather limited: we will first examine the basic context of Second Temple Judaism with specific regard for attributes concerning Messianic expectations and then one will look at the Essene community as an example of how some Second Temple Judaic peoples lived in expectation for the coming Messiah of Israel. One cannot explore the Messianic expectations of Second Temple Judaism without first exploring the term itself. “Messiah” emerges from the Hebrew masiah, which is generally translated “anointed”. In the Jewish Tanakh this term is used both of the King (Psalm 2:2) and the High Priest (Leviticus 8:10-12). Based on that traditional usage, scholars argue that the Messiah was often viewed as a king-priest or warrior-judge. Following the loss of the Monarchy, scholars believe that the concept of Messiah—in this sense a kingly figure—would arise and restore the nation of Israel, sometimes with the use of superhuman characteristics. Along the priestly lines, the Messianic figure was often viewed as a restorer of the true priesthood of the worship of YHWH, being a righteous and holy messenger of God. Even within the definition of the term ‘Messiah’, one begins to see the broad diversity in the understanding of the term, a diversity that is reflected quite clearly in summarizing the broad range of Jewish beliefs in the late Second Temple Period of the first century of the Common Era. Basic Jewish religious tradition in the Second Temple Period revolved around several key beliefs. Judaism was a strictly monotheistic religion that placed great emphasis on their status as the chosen people of Yahweh through the covenants of Abraham and Moses. The religion of Judaism was not like that of others in the Greco-Roman context, concerning itself with festivals and holy days, but instead encompassed all facets of life, making it rather unique within the context of the ancient world. While many Jews had no real political or religious affiliation, evidence suggests the existence of several distinct groups within the Jewish religious scene. The largest class consisted of the priests and Levites—those members of the “tribe of Levi” designated in the Torah as the religious leaders of Israel. 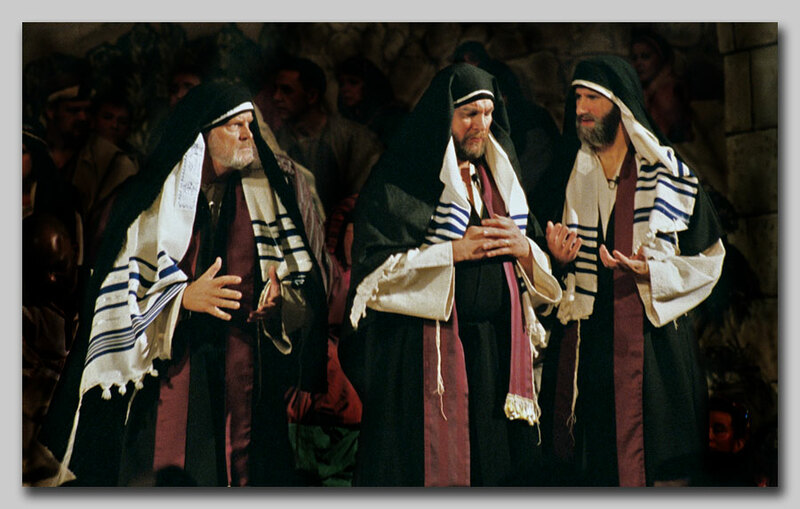 There existed several distinct religious sects within Judaism as well, each with their respective theological concerns and emphasis’ as well as their Messianic expectations. These included the Pharisees, who excelled in following the Law of Moses; the Sadducees, who generally possessed a greater amount of political influence as a result of their historical past as Chief priests; the Herodians, a term used to define those who supported the Herodian dynasty; the Zealots, those Jews who opposed (often violently) the rule of Palestine by the Romans; and the Essenes, a group viewed generally as apocalyptic which we will examine in greater detail below. The scholarship concerning these various groups does much to indicate the religious diversity of Second Temple Judaism, underscoring the fact that there was no single unified expectation for the Messiah. 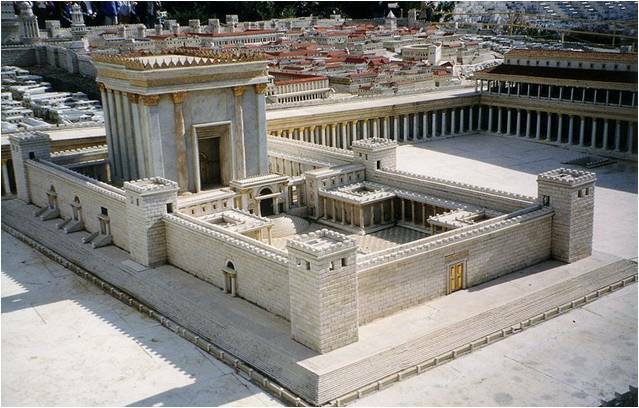 For many Second Temple Jews the figure of the Messiah would be a political king or ruler of the nation of Israel. 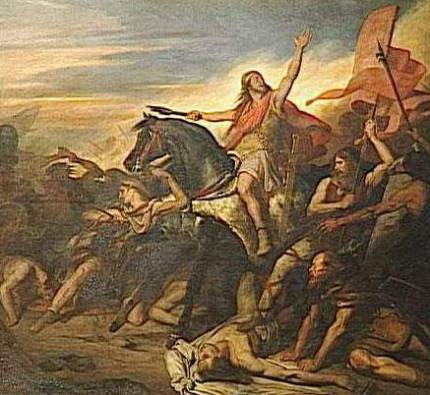 The immediate context of occupation of the land of Israel by the Roman Empire provides a basis for this expectation, as does the historical context of the Maccabean Revolt and Hasmonean Dynasty of kings from 142 to 37 BCE. The Davidic promise, that a descendant of David would sit on the throne of Israel forever, from 2 Samuel added to this expectation of a political Messiah who would throw off Roman tyranny and establish a new kingdom of Israel. As one might expect in the context of varied Jewish sects, assorted respective Jewish beliefs concerning the Messiah were derived from differing interpretations of Jewish Tanakh. Indeed, some scholars argue that there were many Jews who didn’t hold to any form of Messianic expectations at all by the First Century CE. Yet of the Jewish groups that have been identified by scholars, the groups with perhaps the most interesting expectations for the Messiah were the Apocalyptic groups of the Dead Sea and Qumran area, often argued to be the sect of the Essenes mentioned in the historical works of Josephus and Philo. As stated above there is simply not the space allocated for a full discussion of the Messianic expectations of the Second Temple Jewish peoples. Here however we will examine what scholars have argued concerning Second Temple Apocalyptic Judaism, especially the group commonly referred to as the Essenes. This group has been subjected to a great deal of scrutiny and research in recent years, especially following the discovery of the Dead Sea Scrolls. The Apocalyptic literature of the Second Temple period reflects a great deal of development in Messianic ideology. In writings such as 4 Ezra and 2 Baruch the figure of Messiah begins to take on a nearly heavenly figure, as God refers to him as “my son” and the idea of the Messianic Kingdom transitioning into the final Kingdom of God. Other writings, such as the Psalms of Solomon and Similitudes of Enoch emphasize the earthly nature of the Messianic figure, calling him the “Son of Man” and indicating his very earthy reign in Jerusalem where he wars against the gentiles. 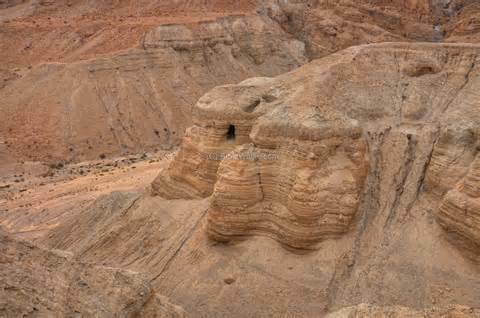 It is within this apocalyptic setting that the Qumran community and Essene sect developed. Perhaps in stark contrast to much of the other surrounding Jewish communities, the Qumran community likely envisaged not one, but two distinct Messiah figures: a messiah of Aaron (a priestly figure) and a messiah of Israel. The variety of perspectives presented in the Qumran scrolls demonstrates that diversity existed not only within the Jewish community at large, but also within the Qumran and Essene communities as well. Texts seem to indicate several other developments concerning the Messiah. In one he is a highly heavenly figure, similar to Melchizedek of Genesis, who opposes Satan and the forces of darkness. In another “the Lord” and his Messiah (though perhaps one person) are said to release captives, give sight to the blind, heal the wounded, and give the dead life. The Son of God text gives examples of messianic activity, though scholarship remains divided concerning the historicity of the figure presented in the text. One text may even indicate that the Messiah will be slain, though this interpretation has been subject of much debate, especially in the Christian-age. The beliefs and practices of the Qumran community will provide scholars an area of research for years to come as the wealth of texts continues to be sorted through, translated, and researched. The widespread knowledge of such messianic expectations, let alone their acceptance by the larger non-Essene Jewish community remains an issue of debate. The diversity of Judaism seems to indicate that unified Messianic expectations simply did not exist within Second Temple Judaism. Within the diversity of Judaism for Jews who were expecting a Messiah there emerge some general principles of expectation. First, in keeping with the belief that the people of Israel were the chosen people of God, the Messiah would have the blessing of YHWH. Second, the Messiah would restore Israel in some sense. Whether this was viewed as the political restoration, a spiritual reawakening, or both varied from sect to sect and text to text. Finally, the Messianic expectation was that he would come soon, perhaps even in Apocalyptic glory. Statements of further specificity would ignore the diversity of the Second Temple Judaism. However, it is clear that the Jews of the Second Temple period were awaiting the coming of a figure from God who would restore Israel. Grabbe, Lester L. Judaic Religion in the Second Temple Period: Belief and Practice from the Exile to Yavneh. Routledge: London &amp; New York, 2000. 272. Ibid., 272. Ibid., 273-276. While the term “Second Temple” period generally refers to the time period from the rebuilding of the Jewish Temple by Zerubbabal (c. 520-515 BCE) to its destruction by the Romans under Titus in 70 CE, for the purposes of this paper the term will be used for Judaism under Roman occupation, that is from 63 BCE to 70 CE. Sanders, E.P. The Historical Figure of Jesus. Penguin Books: London, 1995. 33-39. Ibid., 37. Politics and religion were often inexorable related in Second Temple Judaism, in large part due to the role of the Hasmonean Dynasty of the period between the Greek and Roman control of Palestine (Sanders, 15-32). Ibid., 39-41. Metzger, Bruce M. The New Testament: Its Background, Growth, and Content. Abingdon Press: New York, 1965. 39-45. Sanders, E.P. The Historical Figure of Jesus. Penguin Books: London, 1995. 15-20. 2 Samuel 7:11-16; Cross with 1 Chronicles 17: 10-14. Schiffman, Lawrence H. From Text to Tradition: A History of Second Temple &amp; Rabbinic Judaism. Ktav Publishing House: Hoboken, NJ, 1991. 98-119. Grabbe, Lester L. Judaic Religion in the Second Temple Period: Belief and Practice from the Exile to Yavneh. Routledge: London and New York, 2000. 271. Schiffman, Lawrence H. From Text to Tradition: A History of Second Temple and Rabbinic Judaism. Ktav Publishing House: Hoboken, NJ, 1991. 113-119. Grabbe, Lester L. Judaic Religion in the Second Temple Period: Belief and Practice from the Exile to Yavneh. Routledge: London and New York, 2000. 279-280. Ibid., 276. Ibid., 274. Ibid., 274-275. Ibid., 275. Harrison, John. “Book Review: Salvation for the Righteous Revealed: Jesus amid Convenantal and Messianic Expectations in Second Temple Judaism. By Ed Condra.” Journal of the Evangelical Theological Society 47.3 Sept. (2004): 510-12. Online. Grabbe, Lester L. Judaic Religion in the Second Temple Period: Belief and Practice from the Exile to Yavneh. Routledge: London &amp; New York, 2000. 271. From the perspective of the Christian tradition, it seems easy to infer that the long-awaiting figure was indeed Christ. The purpose of this paper has not been to explain how Christ fulfilled (or failed to fulfill) Messianic expectations of the Second Temple period, but instead to provide a brief glimpse into the common perspectives of the Jewish people within the time period. I’m looking for info related to this subject. I want to read more about the 1st century Mosaic Law abiding Jews like Zecharia, Elizabeth, Simeon, Anna, Ananias (Acts 22:12, cf. 13:43). These are spoken of positively in relation to the law and they readily converted to Christianity. I’ve been searching for scholarly or any other material on these Jews, including God fearing gentiles like Cornelius. Please suggest material or website.